AIX-EN-PROVENCE France (Reuters) - The European Central Bank will keep interest rates very low for a long period of time to ensure monetary stability but euro zone governments must do their part to boost growth and cut debt, ECB policymaker Benoit Coeure said. 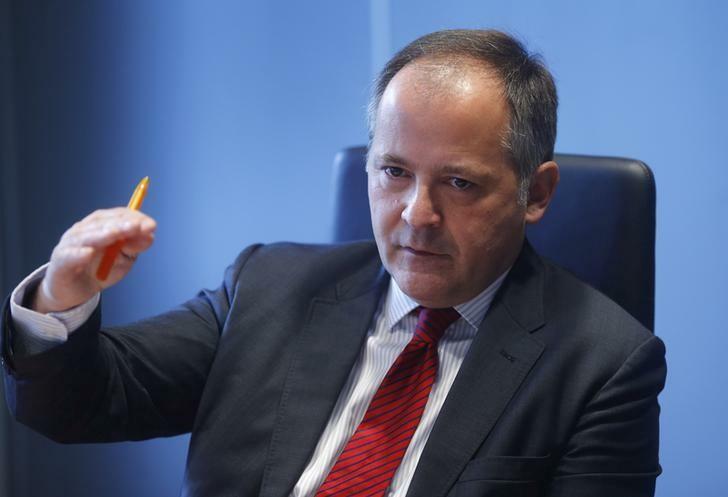 The euro zone has a major investment deficit, said Coeure, a member of the ECB's executive board, adding that governments must also "invest in Europe" by cooperating more closely - another condition for stability. Saying the current economic situation of high debt, high unemployment and weak growth was very worrying, Coeure told an economic conference in southern France on Sunday: "The only way out is by investing." But this should not be done by "piling more debt on old debt", he said, urging euro zone states to ensure flexibility to implement the bloc's stability pact is based on reforms that have been proven or carried out, not just on pledges. "The ECB is taking care of monetary stability. We've said clearly that interest rates will remain very low, very close to zero, for a very long time, whatever the developments in the rest of the world," Coeure said. "One should expect a divergence of monetary conditions between the euro zone and the United States and Britain - where interest rates will at some point be lifted."